Any type of damage to your car’s windshield is dangerous. Not only can it obscure your view, but it also compromises the windshield’s structural integrity and makes it more prone to shattering. But not all damage requires a full-fledged replacement. Sometimes, a simple windshield repair job will suffice. Understanding what kind of damage your windshield has helps you know if you need a windshield replacement or windshield repairs. When driving at high speeds, even something as insignificant as a pebble can chip your windshield on impact. If a vehicle in front of you kicks up debris that collides with your auto glass, it can cause a small piece of the glass to dislodge, leaving the noticeable chip. If this happens, you most likely don’t need to replace the whole windshield. 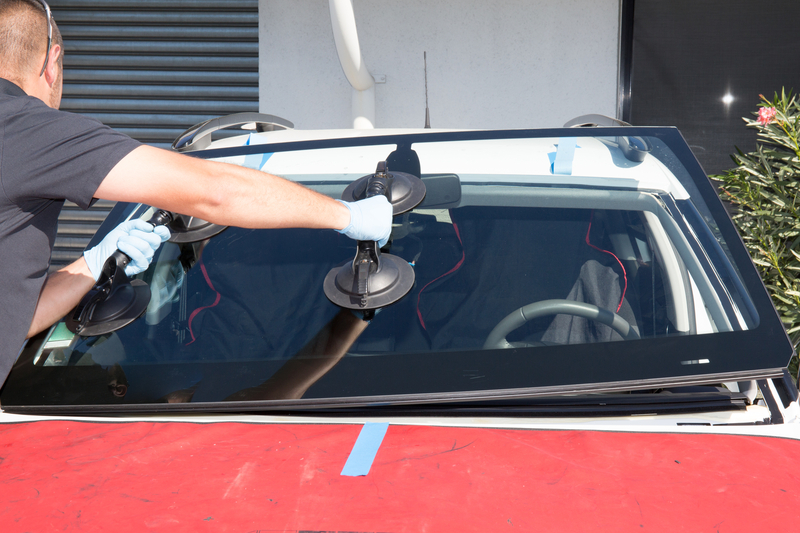 Take it in for a windshield repair and your technician will inject a special resin into the affected area to fix it. Don’t wait too long, though, as a chipped windshield is more prone to developing further damage. If that chip spreads into an actual crack, it may be beyond repair and need replacing. Over time, your windshield can start to develop a pitting issue, particularly if you drive primarily on highways. As sand, dust, and other types of particulate debris slam into your windshield, they can actually become embedded in the auto glass and cause tiny craters to form. This is dangerous because the craters will distort the light coming through the windshield and make it difficult to see the road and other drivers. Unlike a chipped windshield, pitting cannot be repaired. If you’ve noticed repeated glares while you’re driving or that your windshield wipers have become less effective, take your car in for a professional windshield replacement immediately. If your windshield has been damaged in any way, visit the professionals at GlassPro, Inc. in Cincinnati, OH. Their technicians specialize in auto glass maintenance, and they will evaluate your damage to help you understand whether you need a windshield repair or replacement. Schedule an appointment today by calling (513) 874-6559 or learn more by visiting them online. Other Announcements, Events and Deals from GlassPro, Inc.